NASA's x-ray telescope gives us a glimpse into the centers of nearby galaxies. There are two super-massive black holes hidden at the centers of nearby galaxies, scientists announced on Saturday. These findings, first-authored by astronomer Daniel Stern at NASA’s Jet Propulsion Laboratory, show us that there is still a lot of spectacular astronomical phenomena to be discovered just outside our own galaxy. Using NASA’s Nuclear Spectroscopic Telescopic Array satellite, a 28-member team spanning 19 research institutions found evidence of super-massive black holes obscured within the active galactic nuclei NGC 1448 and IC 3639. NuSTAR’s x-ray detection has allowed scientists to gaze into these galactic centers, located 12 megaparsecs and 54 megaparsecs away from us, respectively, about 39 million light years and 176 million light years. That may not seem very close, but relative to other distant galaxies, these two are our neighbors. “NGC 1448 is one of the nearest luminous galaxies to the Milky Way,” reads the report announcing these findings. 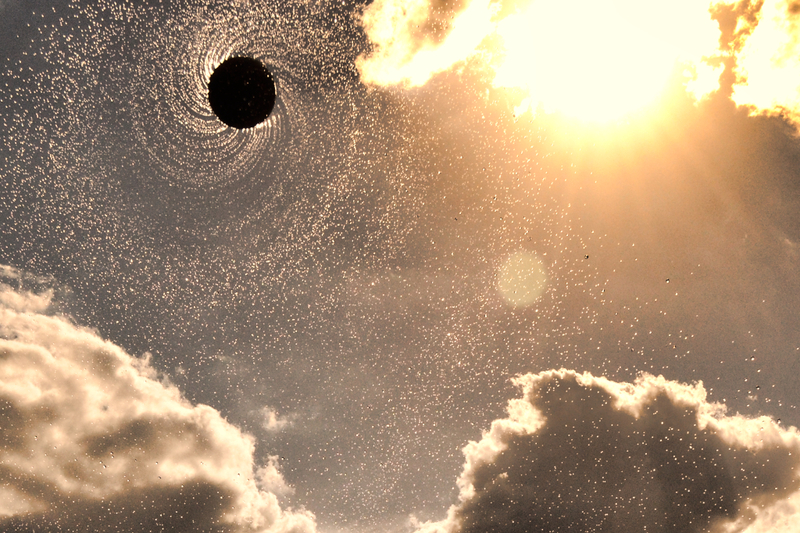 And while they’re relatively close to us, these black holes are fortunately not close enough to swallow us up. So you still need to go to work on Monday. This discovery, announced at the 229th meeting of the American Astronomical Society, furthers NuSTAR’s mission to examine black holes via high-energy spectroscopy. The new research uses this x-ray telescope technology to build on previous low-energy observations of these active galactic nuclei, according to a news release. And if this discovery of super-massive black holes at nearby galactic nuclei is any indication of what’s to come, we should expect to see a lot more remarkable nearby phenomena to be announced in coming years. This new research is just one piece of the black hole puzzle that scientists have started piecing together in recent years. Along with the LIGO detection in 2016, which showed us direct evidence of two super-massive black holes converging, this new discovery gives us unique insights into the birth and death of galaxies. And since NuSTAR allows astronomers to observe black holes more easily, we can expect a greater understanding of black holes in our lifetime.